Daikin Fancoil Units, Daikin VRV-S Heat Pump Condensing Units, Daikin I-Touch controller for complete building control. 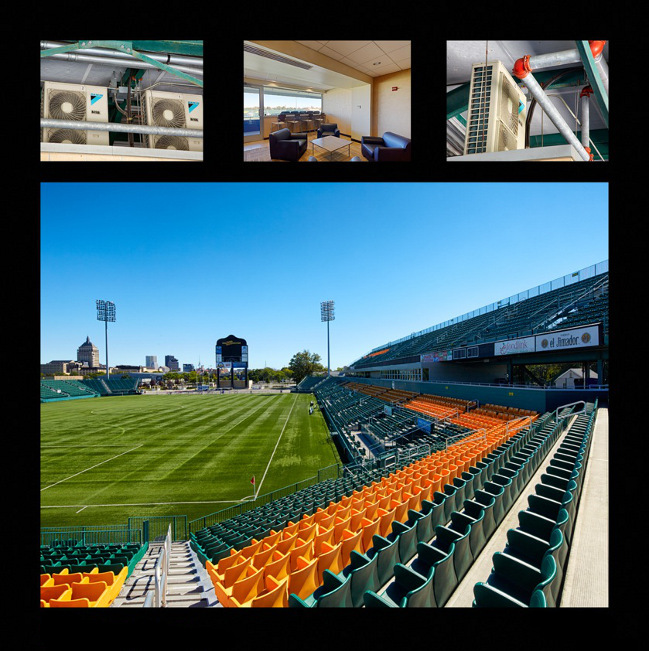 Stadium owners looked to improve the overall fan experience by adding cooling to high end luxury box suites and office areas. This presented a challenge for designers because of the large diversity between office space and luxury box usage which made VRV a perfect choice. The I-touch controller with web browser also allows off site building management personnel to diagnose the system and program space temperature remotely prior to events reducing the need for onsite staff during low occupancy time periods.